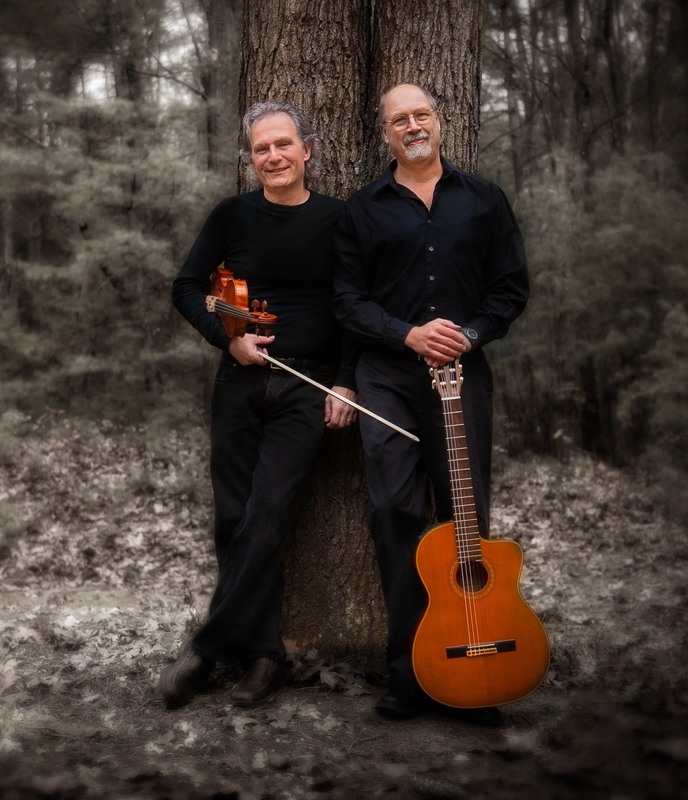 Chris Devine and Michael Nix perform energetic and entertaining music for violin, guitar, mandolin, and the Banjar (a seven string classical banjo). Devine and Nix bring together decades of international concert touring, recording, and composing in many genres. Coffee and homemade baked goods are available. The museum is open during intermission. Wheelchair accessible. Suggested sliding scale donation $6–$12, free for children. Donations help the Friends of the Discovery Center provide free nature programming for the public.